Do you find yourself choosing the wrong men? Sometimes do you think your picker broken? Perhaps you are tired of attracting the same type of guys over…..and over….and over again? Do you go for guys too quickly and then it turns out they are not the right fit? or you’ve gotten to a place were you don’t even trust yourself anymore to pick the right guy…. then you ABSOLUTELY need to be at this event! My name is Crista Beck and I sometimes playfully call myself a “picker fixer upper.” I help single women remodel their love lives! I want to help you save MONTHS, or even YEARS, of dating hassle and get you into the arms of a loving man ASAP. 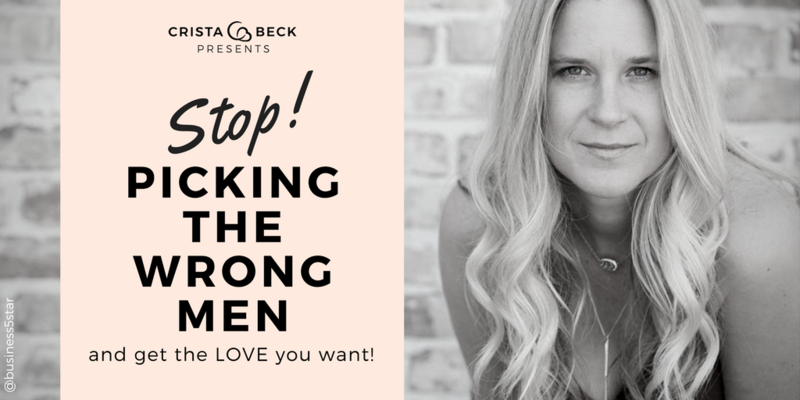 The strategies I am going to show you work for anyone, regardless of your past experience with dating and relationships. They have proven to work, even with women who keep attracting the same type of men over and over again! Secrets on how to master the dating process in half the time. Many times getting into an exclusive relationship within a few months. How to attract men who actually want a commitment and to stop wasting your time on bad dates. Ways to find the man who is perfect for you, and he may be sitting right under your nose! The #1 mistake (you’re probably making now) that absolutely repels your chances for a long term committed relationship and what you should do to avoid this.